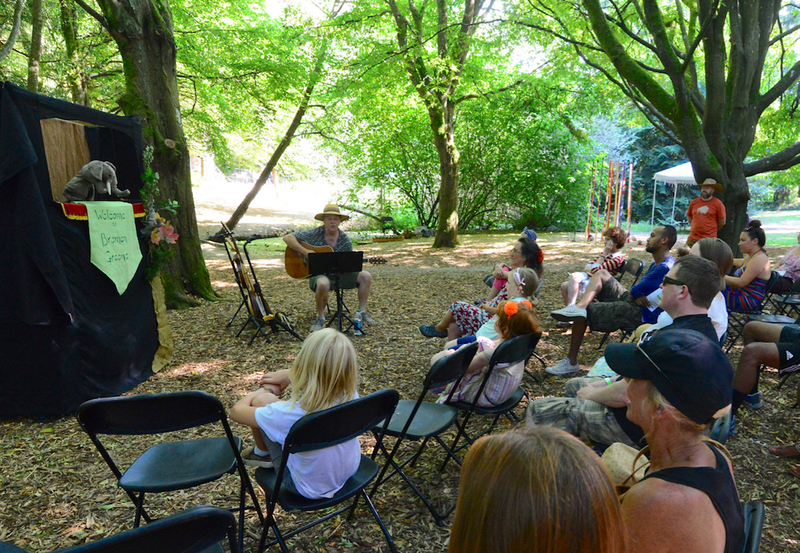 The Arts in Nature Festival returns to Camp Long Aug. 25-26 with music, arts, installations, performances and much more. DNDA proudly presents the 19th annual Arts in Nature Festival! Following the theme ofConvergence--the act of meeting at a common point--artists and attendees are encouraged to interact with each other, with other art disciplines, and with the natural 68-acre landscape of Camp Long. Over 40 local artists will be featured-- across fields of music, sculpture & installation, film, dance and spoken word-- including Reverend Pat Wright’s Total Experience Gospel Choir, Nikkita Oliver, Naomi Wachira, Seattle Civic Poet Anastacia Renee, Degenerate Art Ensemble, J Mase III and more. Seven of Camp Long’s rustic cabins will be artfully transformed, as well, to create seven interactive, cutting-edge works. Your festival experience will be complete with a convoy of local food trucks, a scenic beer garden and local handcrafted merchandise available for purchase. This family-friendly festival is packed with creative activities and performances that kids will love, including music by The Harmonica Pocket, puppetry and storytelling by Lori Whaley, crafting with Sarah Storey and Caroline Rockey, and interactive workshops with Capoeira Malês,Zambuko Marimba and DogPound Breakdance Crew. This festival is full of BIG summertimeplay-in-the-park fun for the whole family! Save 20 percent on Arts in Nature Festival tickets when you buy them in advance at this link. With the advance rate adults can enjoy the festival all weekend long for just $16, and kids under 10 get in for free! Advance tickets for youth ages 10-17 are just $8 for the weekend, and student and senior weekend passes are $12. Ticket prices will increase when the festival begins on Saturday, August 25. There will be limited parking at Camp Long, but there is plenty of street parking available on 35th Avenue SW, SW Dawson Street, SW Brandon Street and SW Hudson Street. For more information about DNDA and the Arts in Nature Festival, please visit www.dnda.org/festival.